Where do I start? The Salkantay trek was absolutely amazing. The views were beautiful and well worth all of the hiking. Lito, our guide was the best. Ask for Lito!! The food was crazy good and all natural. I can't complain about it at all. This trek was the first like it that I have been on in my life so I had no idea what to expect but it exceeded any expectations I had. We got very lucky with weather which helped, it was sunny the whole time and got warmer every day and night. Our tour guide Lito was absolutely amazing. He made the trip enjoyable with little history lessons and showing unbelievably beautiful scenery. 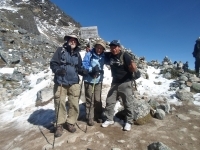 I participated in the Salkantay trek with two of my friends. Our experience was awesome. We chose this trek because we wanted to challenge ourselves and do something we had never done. I felt that this trek was a once in a life time experience. My friends and I wanted to challenge ourselves with the 5 day Salkantay Trek. What we didn't expect: amazing food cooked for and served to us for breakfast, lunch, tea time, and dinner. Our guide, Lito, to teach us about the local plants, customs, and the history of the places we went. 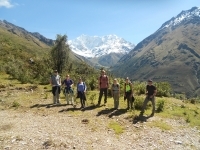 Salkantay.org made this trip a wonderful experience, start to finish. The travel agent helped work out all the details and I felt very comfortable working with her. A member of our group broke her foot a few weeks before we left, and Mabel helped us arrange for a horse to allow her to make the hike. 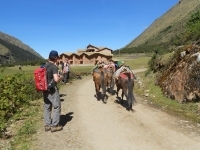 The Salkantay trek to Machu Picchu was an incredible experience only made better by the staff at Salkantay.org. Kick A$$ Trip to Machu Picchu !! 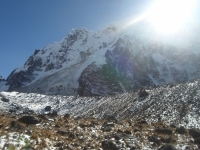 My experience with the Salkantay.org company was absolutely splendid. It was an experience that I will remember for the rest of my life. 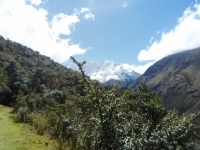 I experienced the Salkantay trail with the best views. 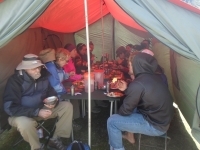 I really enjoyed how the rough camping experience was at the beginning and as the experience continued, the accommodation experience also increased in experience as well. Best 5 days of my life! I will admit that before I started this trek I was terrified! 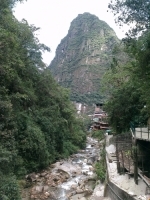 I had read tons of blogs about what to expect, however nothing compares to experiencing the actual trek! 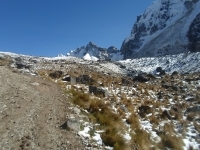 The Salkantay trail with Salkantay.org made my soul soar. Our tour guide Carlitos was unbelievable. He was so accommodating, patient, and fun!! We loved it. Despite the fact that my calves and hamstrings and toes nails are absolutely spent, that's no ones fault but mother natures. 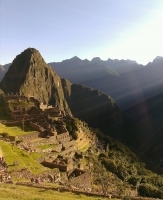 My trip to Machu Picchu was amazing. 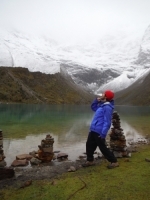 The Salkantay tour was challenging and so much fun! The food was amazing and the tour was a blast! 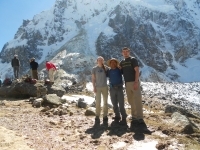 The Salkantay.org team was extremely helpful and kind! I would do this trip again in a heart beat! 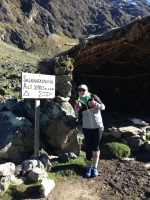 I did the Salkantay trail with Salkantay.org and it was amazing! 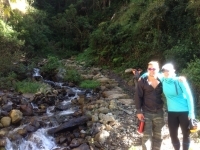 The staff was very amiable and our guides were knowledgeable and patient. They were so helpful and fun. The hike was so beautiful and every single day got progressively better in terms of weather, camp site and events. The thermal springs were amazing and were a highlight! My name is Kim Victor Girao and I spent the last four days hiking the Salkantay trail lead by none other than Carlos Chuchullo. The track was difficult and very challenging, but Carlos and his team made it for an exciting experience. Carlos untied our group under one family for the past four days.